On 24 February, Ruban and Savchenko visited the occupied territories. Security officers on 27 January detained the head of the Ukrainian centre for the release of prisoners, Volodymyr Ruban, at the Maryinka checkpoiunt in Donetsk Region, a Ukrainian journalist reported citing a source in law enforcement agencies. "Ruban was heading to the DPR to bring Nadiya Savchenko back. The security officers have been questioning him for several hours," Hromadske Radio's Iryna Sampan wrote on Facebook. Later in the day, the SBU confirmed the reports about Ruban's detention "in connection with the fact of violation of the established regulations on crossing the contact line in the ATO zone," SBU press secretary Olena Hitlyanska said on Facebook . Hitlyanska told Interfax-Ukraine that Nadiya Savchenko will also invited for questioning on the subject. On 24 February, Savchenko and Ruban visited a penal colony in occupied Makiyivka, where Ukrainian prisoners of war are held. Later, Savchenko told reporters that she had knowingly taken the risk to her life to free the prisoners, and asked for support. The SBU earlier said they were checking the information that Savchenko urged Ukrainian servicemen to abandon their positions near Donetsk airport and go to Kyiv to overthrow the government. 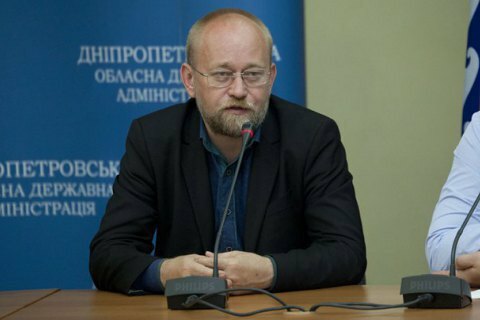 Earlier, the SBU said that Ruban has no authority to negotiate the release of prisoners. Artemenko elaborates on his "peace plan"